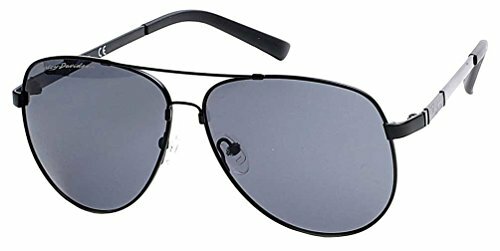 Harley-Davidson® Men's Memory Metal Sunglasses, HD 0639S 02D. Matte black frames with smoke lens.6-Base aviator shaped sunglass. Harley-Davidson® script logo on right lens. Bar & Shield graphic on temple tips. Memory metal bridge for durability. Polarized lenses. 100% UVA & UVB protection. Size: 60-12-140. Case: HDM pouch.